Wal-Mart Stores, Inc. (NYSE:WMT) has been having a rough decade or so. Most recently it has been tussling with Bloomberg over an article suggesting the giant retailer is having a hard time restocking its shelves. While anecdotal at best, investors should still find Bloomberg’s article troubling. Wal-Mart Stores, Inc. (NYSE:WMT)’s stock has been largely range bound since the start of the century. Two bear markets and two recession haven’t helped any, but there have been other factors, too. Externally, the rise of dollar stores has stolen customers from the low end of the market. Competitors Costco Wholesale Corporation (NASDAQ:COST) and Target Corporation (NYSE:TGT) have also kept the pressure on. Internally, the company tried unsuccessfully to shift away from its everyday low prices model only to quickly retreat. It has also spent a lot of time focusing on international growth in places like China and Africa. Such efforts can be distracting for management teams. In the end, Wal-Mart Stores, Inc. (NYSE:WMT) remains among the industry’s fieriest competitors, but it has suffered many wounds along the way. Equity analyst Colin McGranahan of Sanford Bernstein summed up the problem for Bloomberg: Workers are “being asked to do more than they can accomplish in a shift.” How true is this statement? A look at the company’s public documents backs up McGranahan’s assertion. For example, in early 2009 the company had 1.4 million employees in the United States at a time when it had 3,667 Wal-Mart Branded stores and 602 Sam’s Clubs. In early 2013, the company had 1.3 million associates, 4,637 Wal-Mart Stores, Inc. (NYSE:WMT), and 620 Sam’s Clubs. More stores and less employees? With the store count going up and the employee count going down, a deterioration at the store level seems like it was almost inevitable. Wal-Mart is known for its efficiency, but it may be taking it too far. This comes at the same time that Wal-Mart has been hit from Dollar Stores. Dollar General Corp. (NYSE:DG), for example, has more than 10,000 stores in 40 or so states. That’s up from around 8,800 in 2009. Family Dollar Stores, Inc. (NYSE:FDO), meanwhile, has around 7,500 stores in 45 states. Its store count was around 6,600 in 2009. Clearly these are fast-growing concepts with room to expand. As they both enter more states they will increasingly take share from Wal-Mart’s position at the low end of the customer spectrum. The two dollar stores have plenty to offer, too. Both have been adding grocery items to their stores, which tends to bring customers back on a regular basis. It also makes it far more appealing to visit a local dollar store than make a special trip to a Wal-Mart. 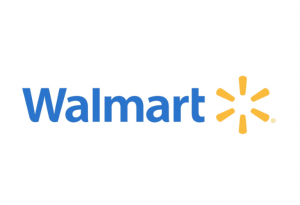 While Wal-Mart is testing a small footprint store to compete with dollar stores, until it rolls it out, Dollar General Corp. (NYSE:DG) and Family Dollar Stores, Inc. (NYSE:FDO) will be able to eat into Wal-Mart Stores, Inc. (NYSE:WMT)’s market share.